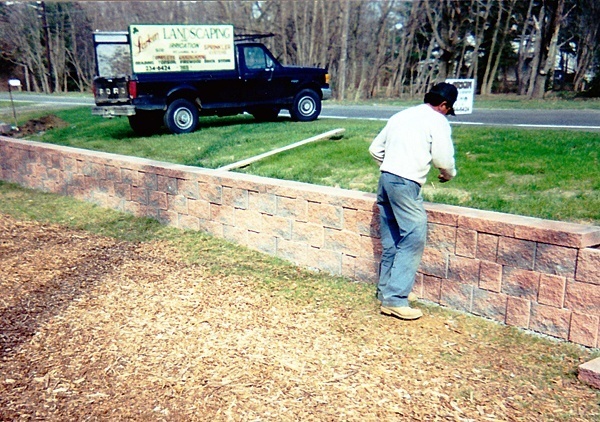 With more than 30 years experience serving customers in Camden and Burlington Counties, New Jersey, Larkin Landscaping has the expertise to solve all of your landscaping and hardscaping needs. We provide an integrated approach to your home's improvement, such as designing and building a patio surrounded by a flower bed that defines and decorates the space. We design and build patios, walkways and walls using natural stone. We install outdoor lighting fixtures to brighten your walkways and patios. We solve your water problems with professionally installed systems. 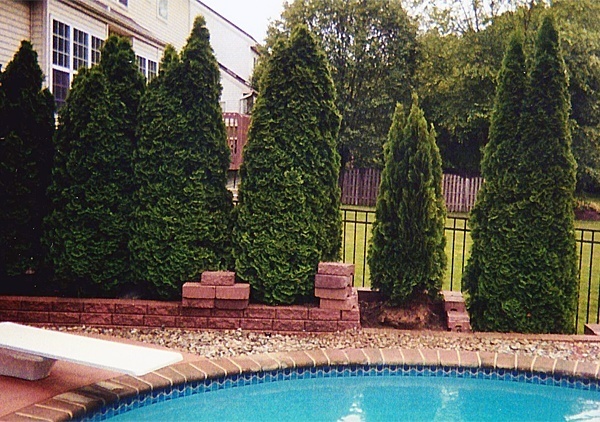 Privacy trees provide a natural barrier to define your property, for the same or less cost than fencing. Evergreens can be combined with perennials for year round arrangements that beautify your home's exterior. 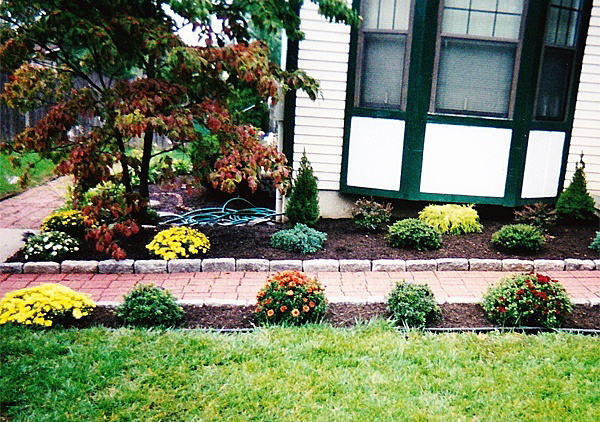 We specialize in annual and perennial plantings to enhance the entrance to your home. 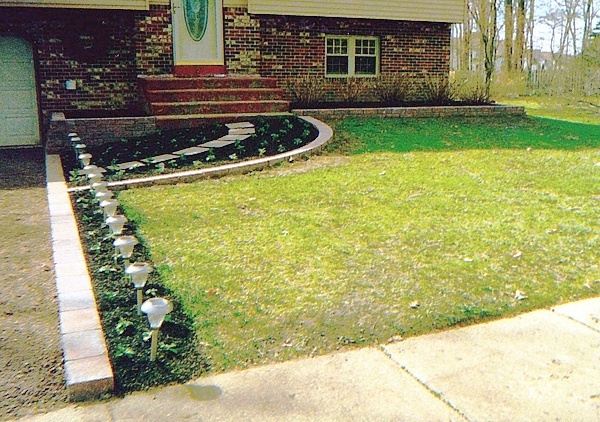 We provide full lawn renovation service. We can rebuild your yard with grading. Insulate your beds with mulch, which is available in natural brown, or colored black, red or brown. Fall is the time for thatching, seed fertilizer, and lime. Call us in the early spring for top soil and sod. 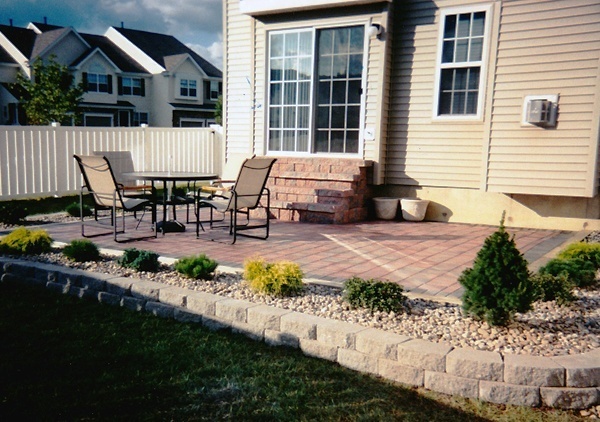 Replace your old deck with a hardscape paver patio. Review our gallery for options on your new patio. We are a certified EP Henry paver installer. 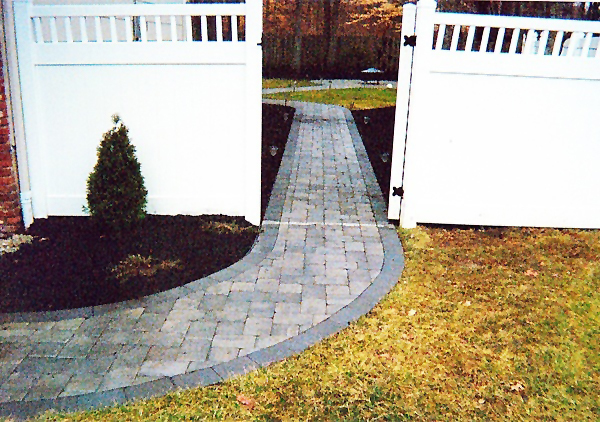 We build paver walkways using various styles and colors of pavers. Check out our gallery to see our work. 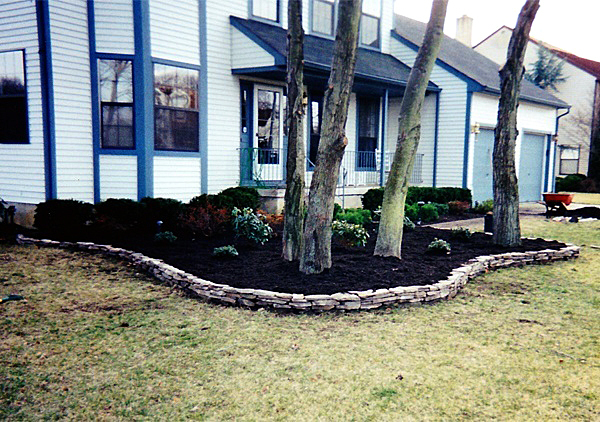 Change or replace the slope in your yard with an attractive retaining wall. Enhance your beds with decorative garden walls. Brighten your walkways and patios with lighting for nighttime safety and entertaining. We solve your water problems inside or outside of your house. 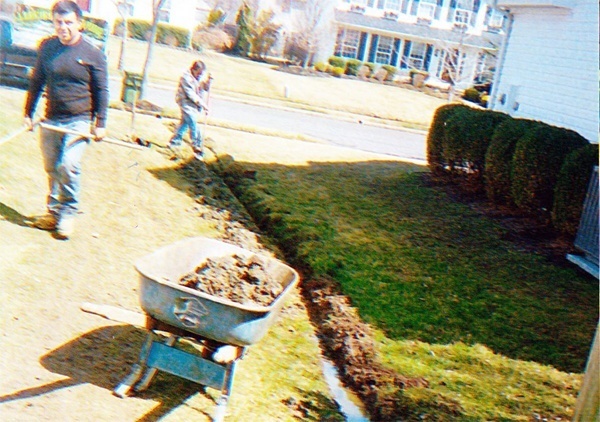 Professionally installed underground drainage systems. In season, we have full, half, and quarter cords. Seasoned oak and hardwood. Free local delivery. Stacking available. © Copyright 2019 Larkin Landscaping. All Rights Reserved.